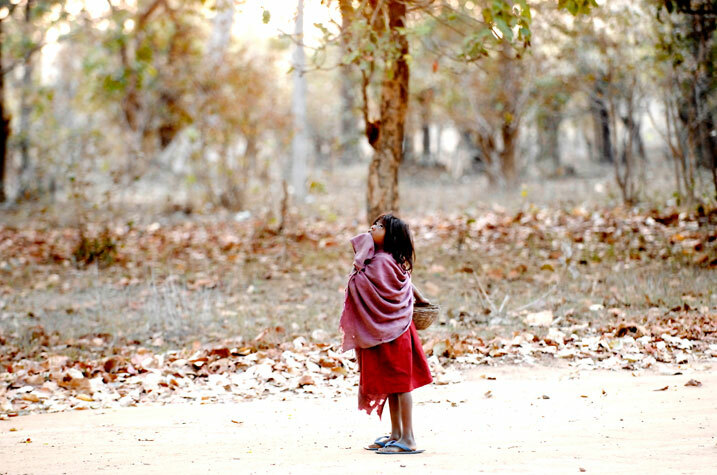 It wasn’t the torn clothes she wrapped around herself...or the over-sized slippers she wore...but that look in her eyes that stayed with me, for long after I shot this pic of the little girl in Bandhavgarh. As long as I stayed in the camp, I made sure I bought flowers from her- it brought a shy smile to her eyes. They carried to me the sweet fragrance of her innocence...efforts...n smile!